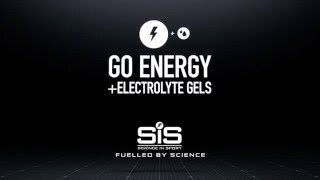 The SIS GO Energy and Electrolyte Gel is a great way to keep your energy levels topped up and also to stay hydrated. The gel not only delivers a rapid supply of easily digestible carbohydrates (22 grams) for energy, but also provides key electrolytes per gel, to enhance your body's ability to absorb water, maintain endurance performance and protect against cramp. It is light on the stomach making it easy to digest and great for during exercise use. Use before to prepare & during sport when you are sweating heavily and need fast energy & hydration. Electrolytes including sodium, potassium and magnesium are lost through sweat and need to be replaced in order to help the body maintain fluid balance, alongside an appropriate fluid intake. To maintain fluid balance the body likes to regulate sodium concentration at 30 mmol/l. The electrolyte levels in SIS GO Energy + Electrolyte gel have been specially selected to help achieve this.